Want to see 2012 in style, but don't know just where yet? John Bensalhia lists some of the big New Year's Eve events taking place across the country, making this a big party not to be missed. Rome is very much where the action is for New Year's Eve. In particular, the Piazza del Popolo draws in the crowds in the festive run-up to the new year. There's a variety of music on offer, from rock to pop to classical. Fireworks are let off at the stroke of midnight, before the revelries continue well into the night. The next day, children can also enjoy a broad variety of entertainment from acrobats and other street performers. If you want something a little more sedate in Rome in the build-up to the new year, and you're something of a classical music buff, then the classical concert at the Piazza del Quirinale is for you. A variety of classical pieces are performed, not only in front of the crowds but before the Italian head of state and other important political figures. 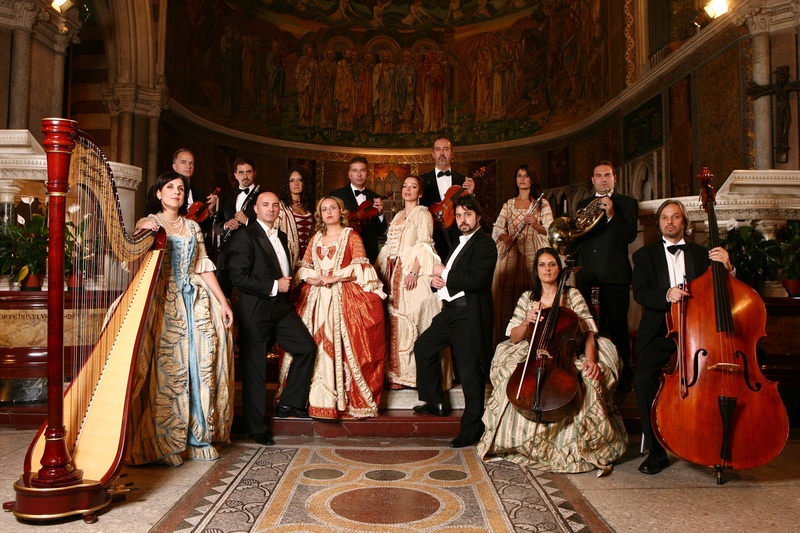 If you're a fan of classical music and you live in the area of Venice, then a classical concert from I Musici Veneziani will strike a chord. The concert takes place at Scuola Grande di San Teodoro, and is performed by a 14-piece ensemble along with three singers. They will be performing works from the likes of Rossini, Beethoven and Mozart, and for those who like a bit of history, 18th century period dress will be in evidence at the event – for example, period costumed butlers will be serving drinks and traditional Venetian biscuits during intervals. A toast to the new year will take place at the end of the performance. At the end of the day, what the world needs now at the stroke of midnight is love, sweet love. So what better way to prove this by heading to Piazza San Marco in Venice and Piazza Ferretto in Mestre. The main concept of the Love event is to deliver a huge communal kiss at the stroke of midnight, acting not just as a unique experience for all those who attend, but to promote a message of goodwill to the world. The communal kiss will be capped off by a firework display in the basin of San Marco, and prior to this, there will be a choice of music performances and a collective toast to celebrate the new year. Opera comes to Florence on December 31st 2011, at St Mark's Church in Florence. Those who enjoy the genre of opera can enjoy a varied performance that encompasses the likes of Act One of La Traviata by Verdi, Acts One and Two of Carmen by Bizet, as well as Acts One and Two of Die Fledermaus by Strauss. There will be a delicious offering of salmon and champagne, and when midnight kicks in, guest will be invited down to the River Arno to see the fireworks. Alternatively, at the Teatro Auditorium Al Duomo, there is another opera concert that showcases works from La Traviata, Rigoletto and La Bohème. The New Year's Eve Gala Concert: Golden Opera in Florence is another must for opera buffs who wish to see in the new year in musical style. 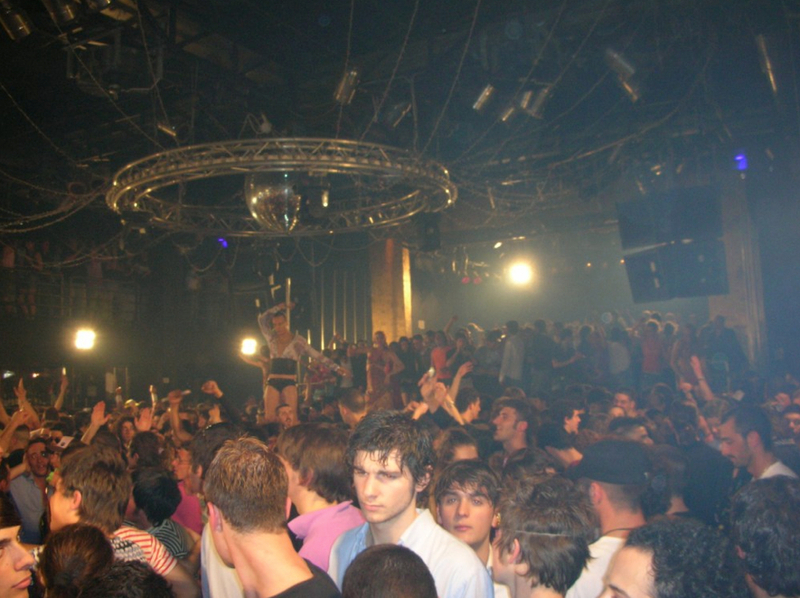 If opera isn't quite your scene and you want to dance in the new year, then a visit to top Florence nightclub Tenax could be your cup of tea. Regarded as one of the most popular clubs in the area, Tenax is also celebrating 30 years, and to cap it all off, this mammoth New Year's Eve party will get everyone on the dancefloor with sets from Ricardo Villalobos and Damian Lazarus. If you want to see in the new year in traditional style, then events don't come more traditional than the Fat Ox Fair in Bologna. Also known as the Fiera del Bue Grasso, the ox is the kingpin of celebrations, as it is decorated in flowers and ribbons – all to the strains of church bells and fireworks. It's a real spectacle for the crowds, who will be caught up in the party atmosphere (complete with candles to light) – furthermore, there is a special lottery for people to enter, and whoever wins, gets to keep the ox! 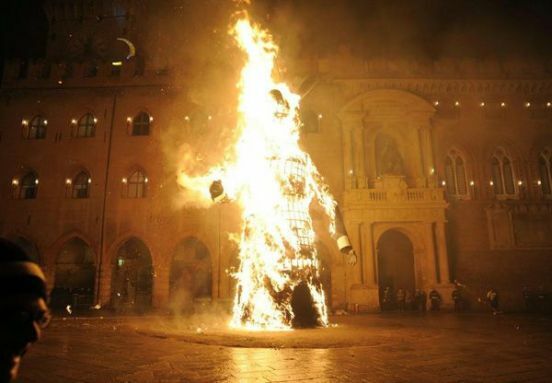 Another tradition to take place in Bologna's Piazza Maggiore is the burning of the Vecchione, a straw figure. The cremation of the straw figure represents the closing of another year, and this is another spectacle that attracts scores of revellers who get to see this symbolic goodbye to the year just gone. 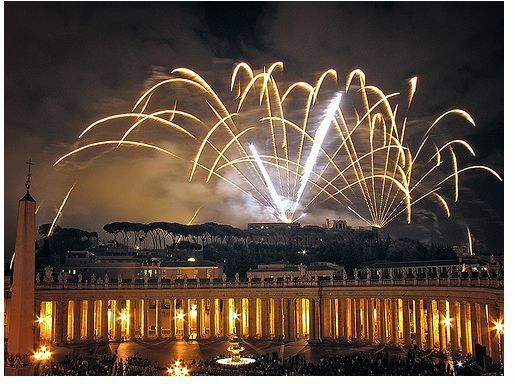 One of the most highly regarded New Year's Eve firework displays takes place in Naples. If you want to be right in the thick of celebrations, then visit the Piazza del Plebiscito, where a huge concert takes place, encompassing classical, rock and traditional music, followed by the grand firework display as midnight chimes. You can also roam the streets of Naples, where there will be plenty of stalls and attractions selling sweets and capitone (eel) – the latter is supposed to bring you good luck for the new year! However, the streets are bursting at the seams at midnight, as virtually the whole of Naples come out to witness the fireworks in the air (and some choose to release fireworks from their balconies or gardens). It's a truly memorable sight and one that's not to be missed. Just keep an eye out for any flying utensils or pieces of furniture thrown out of windows by some of the more over-zealous residents though!